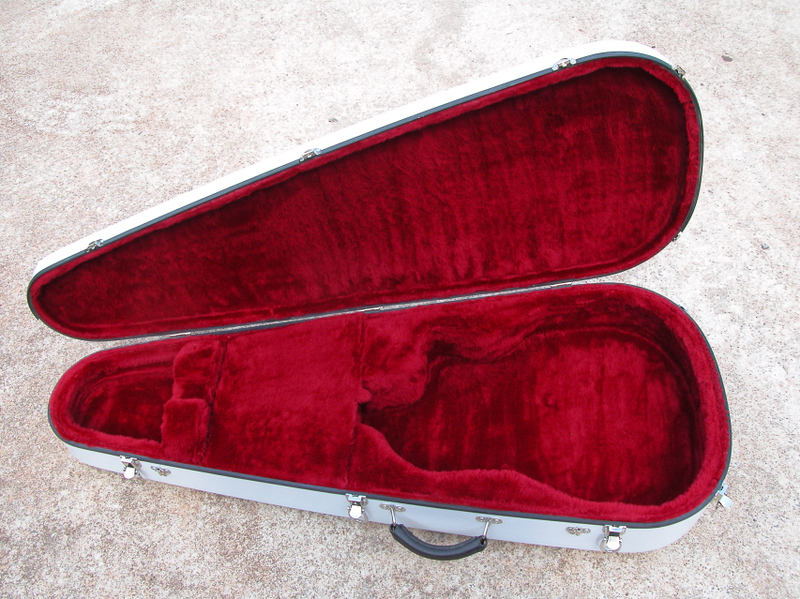 The Price Teardrop guitar case is designed to afford excellent protection with minimum size. 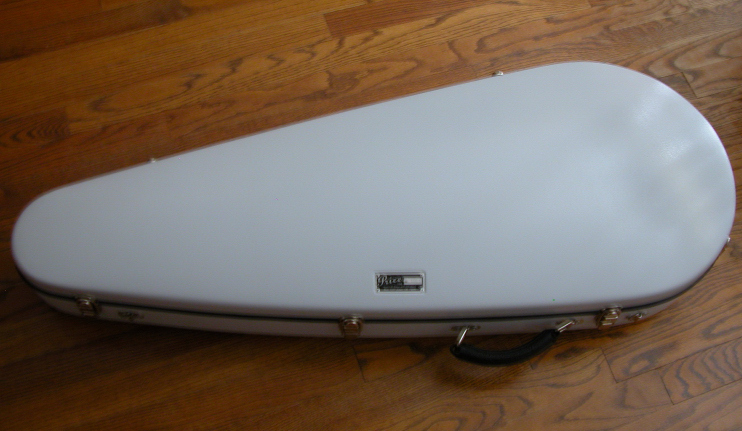 It is a refined, lighter, handlaid version of the early teardrop cases, weighs about 4 pounds less, but is every bit as strong. All models are offered in a stark white, light gray or bone exterior with interior colors Crimson, Royal Blue or Forest Green. The leather handles are steel lined for long service. Price is listed on ordering page. Both models can be built of basalt fiber materials, and will be marked with the Vulcan logo and brand name, at an additional cost of $100. 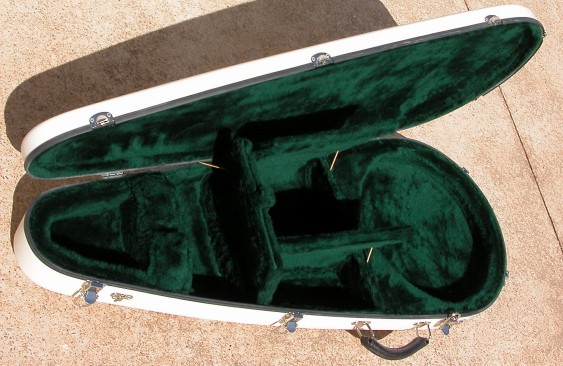 The case is designed to hold dreadnoughts, primarily the square shouldered Martin style, although the slope shouldered Gibson types are an acceptable fit. 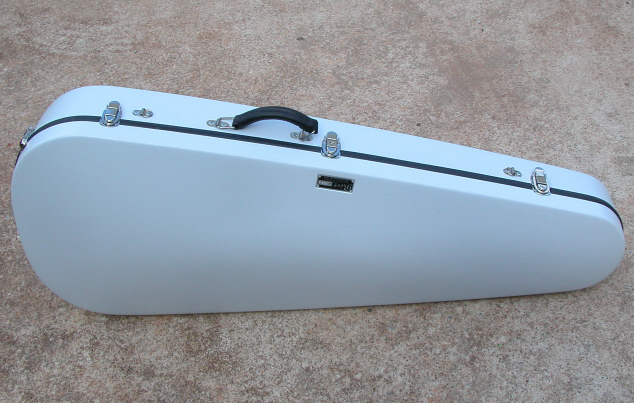 The foam dimensions can be modified to accomodate jumbo shapes up to 16 inches in width at the lower bout. 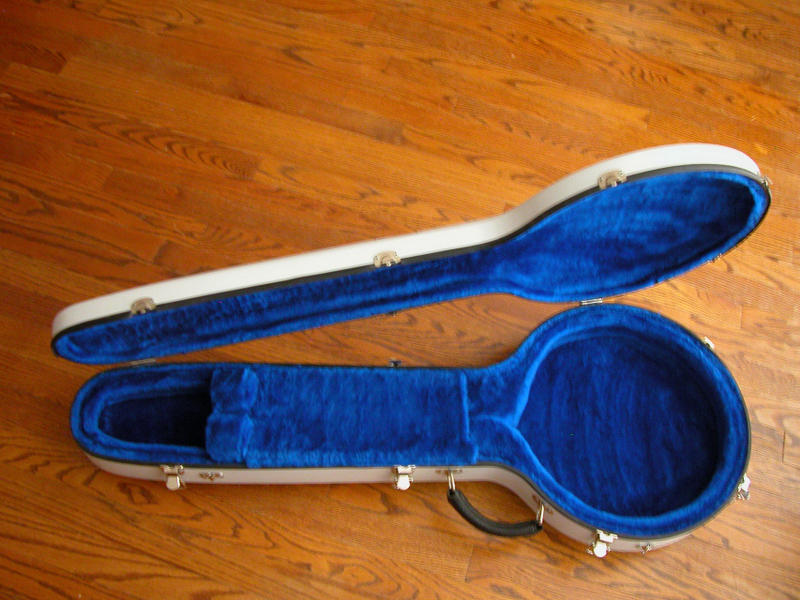 They give the guitar the best possible support and protection from bumps, bruises, shocks and temperature. 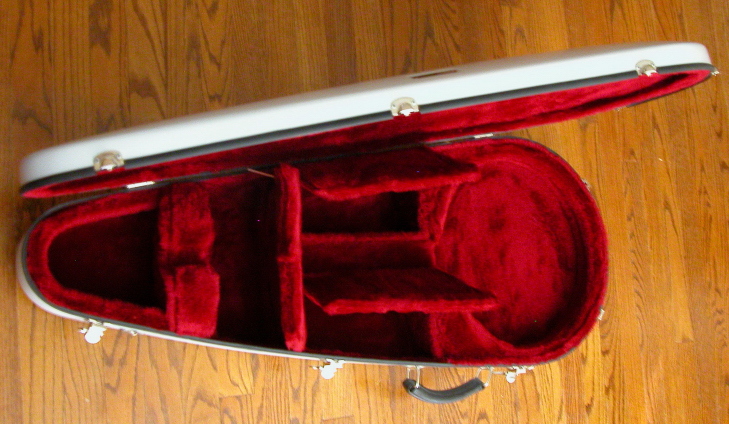 This is the interior in crimson. This is the best choice for storage capacity and protection. It's a bit heavier than the Classic, but not a lot. The question "Why is the price of the Teardrop higher than the Classic or StreamLine?" is certain to be raised. Simple answer is that the two boxes significantly increase the amount of time, material and outside labor expense, compared with a single box. Black/Royal Purple interior, a custom build never delivered.